NEW YORK, NY--(Marketwired - August 27, 2015) - The Tohoku region has been viewed as a quiet agricultural region, and after a long, harsh, and heavy snowy winter, the local summer festivals are the epitome of summer celebrations and appreciation for their short but bright summers. Along with the recent extension of the Bullet Train service, which now reaches more corners of this region, northern Japan is coming into the tourism spotlight for those who look for deeper Japanese summer cultural experiences. Straight up north from Tokyo on the Tohoku Shinkansen Bullet Train, a little over two hours from Tokyo, is Morioka City. Their summer is a breathtakingly photogenic parade with drummers, dancers and pipers in the Sansa Odori Festival, taking place from August 1st to 4th every year. The parade participant numbers continue to grow, and in recent years, almost 10,000 people were in the parade, reaching the Guinness World Record for the largest drum ensemble in 2007. 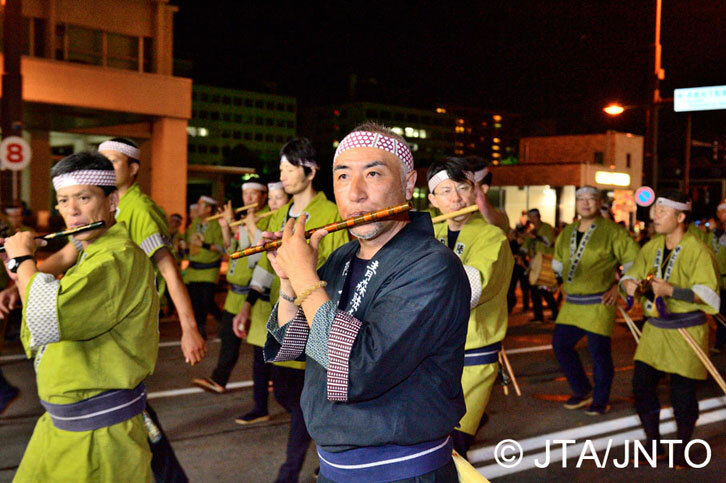 The Sansa Odori Festival began as a small festival in each village in the Morioka Domain, then gradually merged into what it is today. Every performer wears a colorful costume, and music and dance boost the summer days and nights during the event. The Tohoku Bullet Train service ends at Aomori (3.5 hours from Tokyo), where the Nebuta Festival takes place. From August 2nd to 7th every year, Aomori City, located on the northern tip of Honshu Island of Japan, attracts over 3 million visitors who celebrate the summer along towering lantern floats as tall as 16 feet and as long as 30 feet. The highlight is the procession of more than 20 of these floats down the main streets, surrounded by the participants and audience's shouts of "Rassé-ra!" Different Nebuta floats are designed each year with traditional paintings as well as designs reflecting current trends. 3 hours and 40 minutes north from Tokyo on The Akita Shinkansen Bullet Train is mountainous Akita Prefecture, where the summer festival features unique bamboo floats in the Kanto Festival. 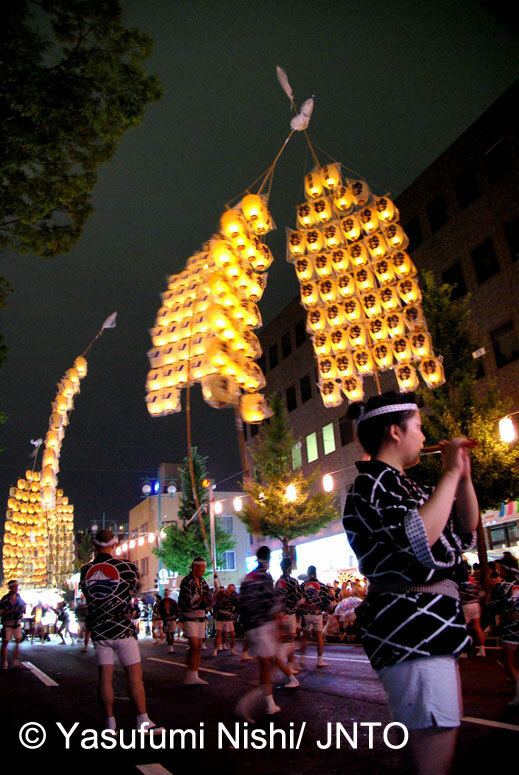 Kanto, which literally means "pole lanterns," has a long history dating back to the 18th century. Kanto are made from bamboo poles and rice paper lanterns, which hang from horizontal bars. Coming in various sizes, a Kanto can be as tall as 39 feet with up to 46 lanterns hanging from 6 horizontal bars, and each Kanto can weigh as much as 110 pounds. The procession of these poles is almost acrobatic: with all the lanterns lit with fire, the carrier holds it one handed, on the forehead, on the shoulder, and on the back. 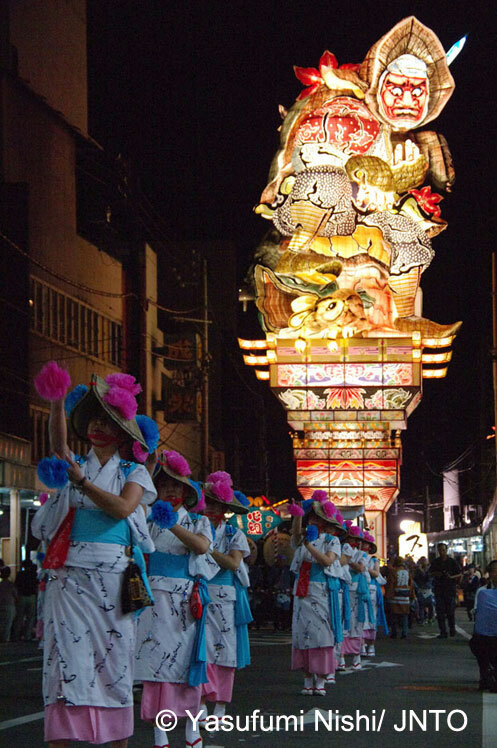 The magnificent procession of 250 Kanto poles parade down Chuo Dori Street in Akita City from August 3rd to 6th every year. 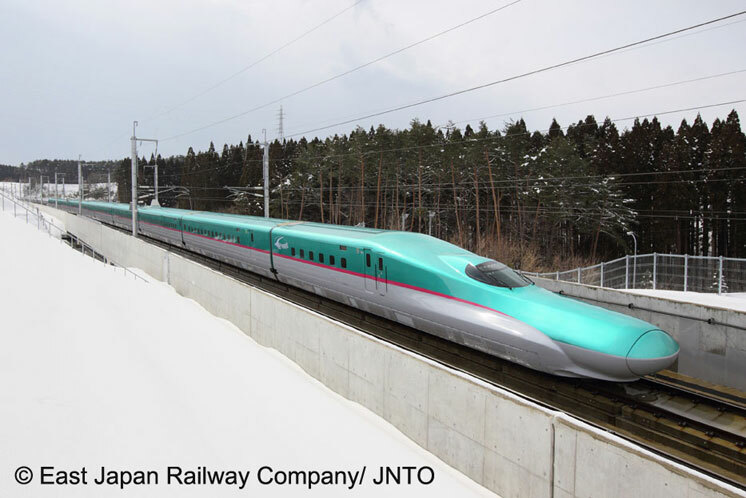 To get around the region, the regular Japan Rail Pass covers the entire Bullet Train network; however, for an exclusive trip to the Tokyo and Tohoku area, the JR EAST PASS is available at a lower price with 5 travel day flexibility. For more information on the JR EAST PASS, go to http://www.jreast.co.jp/e/eastpass/.